As part of the museum’s 25th anniversary celebration, Endesa is sponsoring several special activities that will showcase the museum’s impressive collection in the most spectacular way. 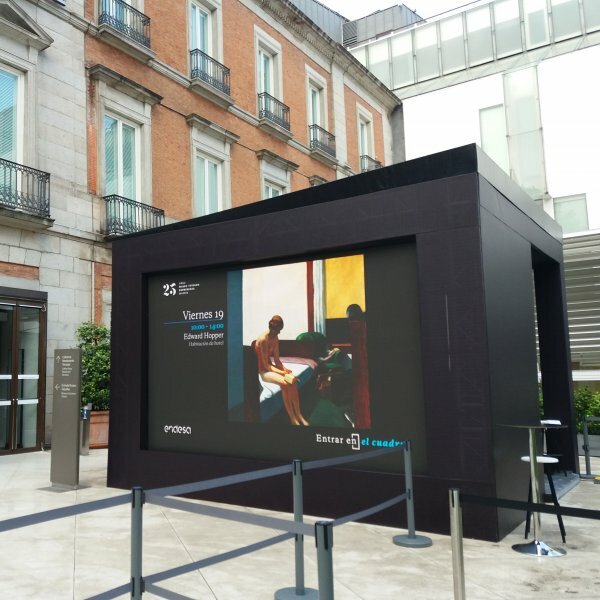 With Endesa’s support, the paintings of the collection will be projected onto the facades of the museum to be enjoyed by everyone in Madrid during the month of October 2017. Using the very latest technology, a mixture of different works in various styles and from different periods will be projected via giant screens onto the façades overlooking the Paseo del Prado and the Carrera de San Jerónimo. On the main facade of the museum the public will be able to enjoy twelve high definition 3D audio-visual pieces, highlights from our #laluzdelapintura series. These seemingly three-dimensional images create different layers of depth allowing the viewer to enter the works from new perspectives.